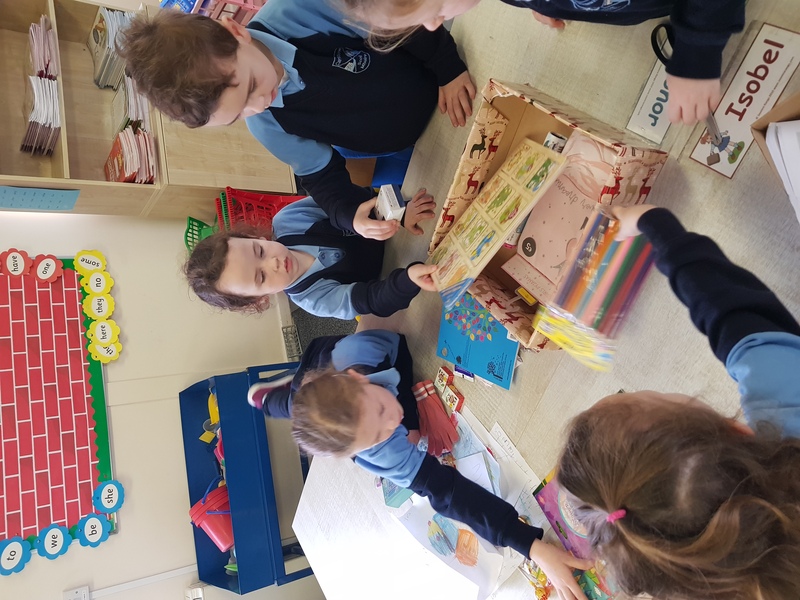 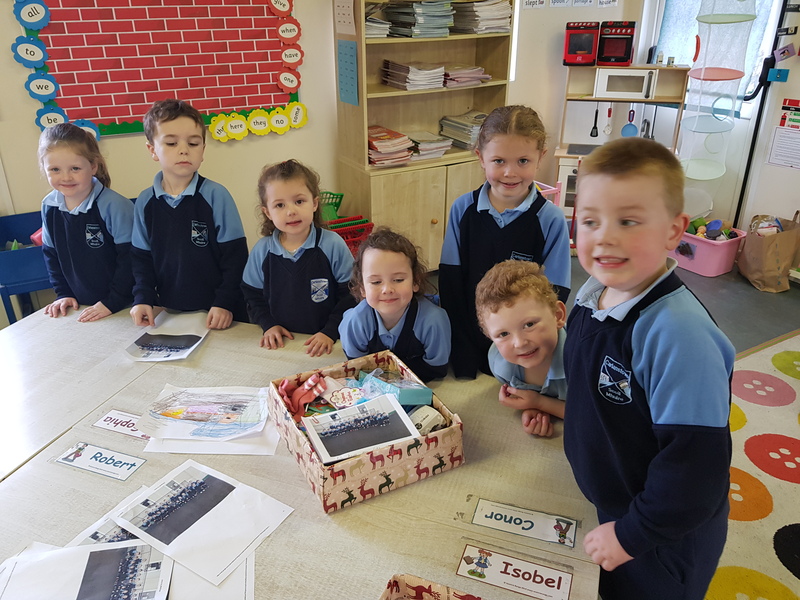 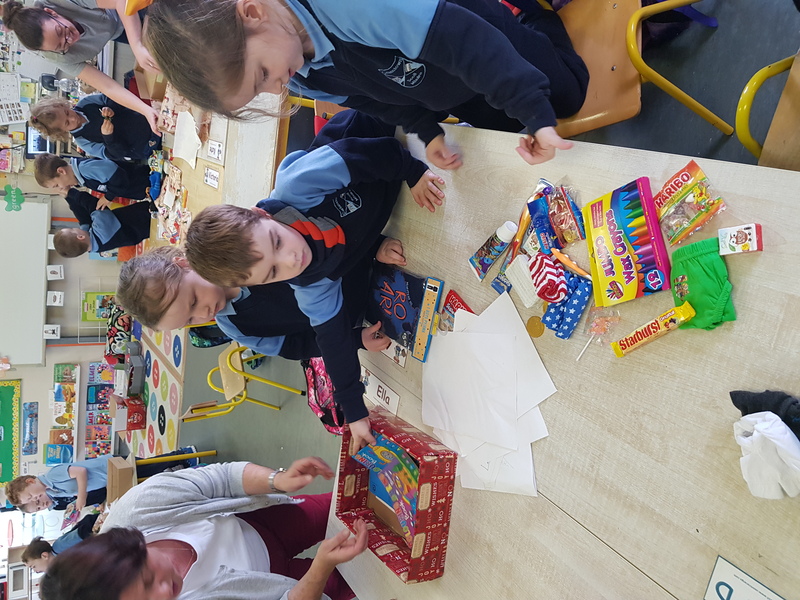 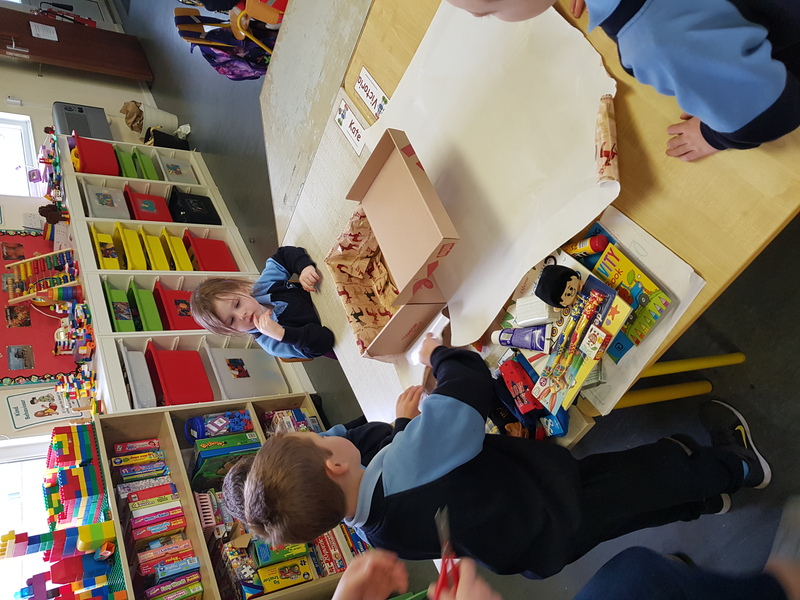 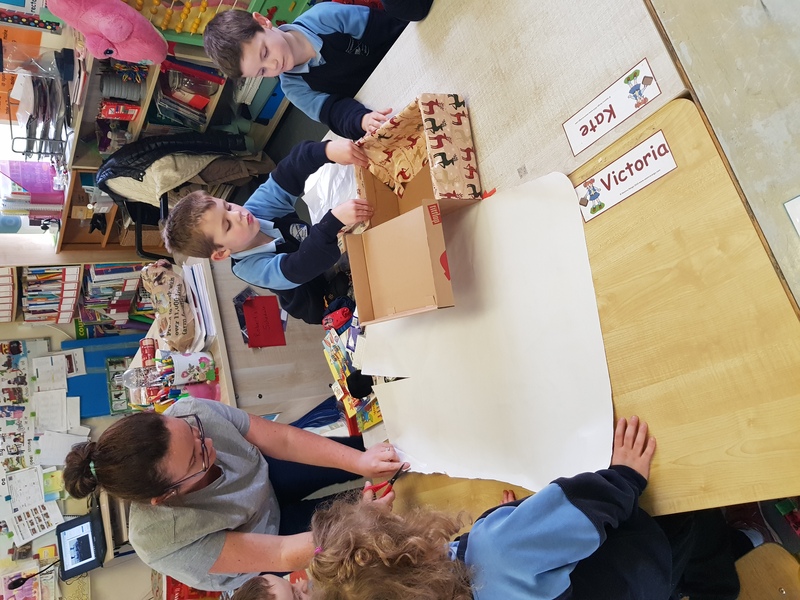 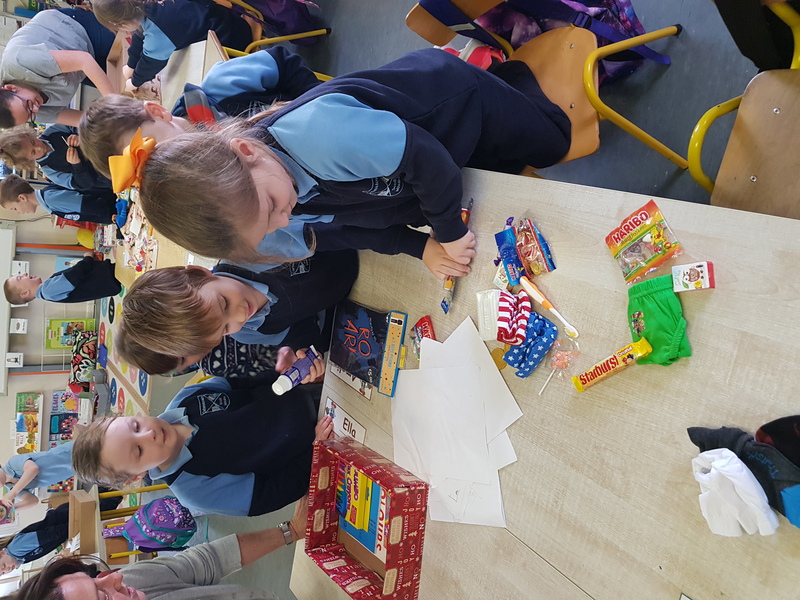 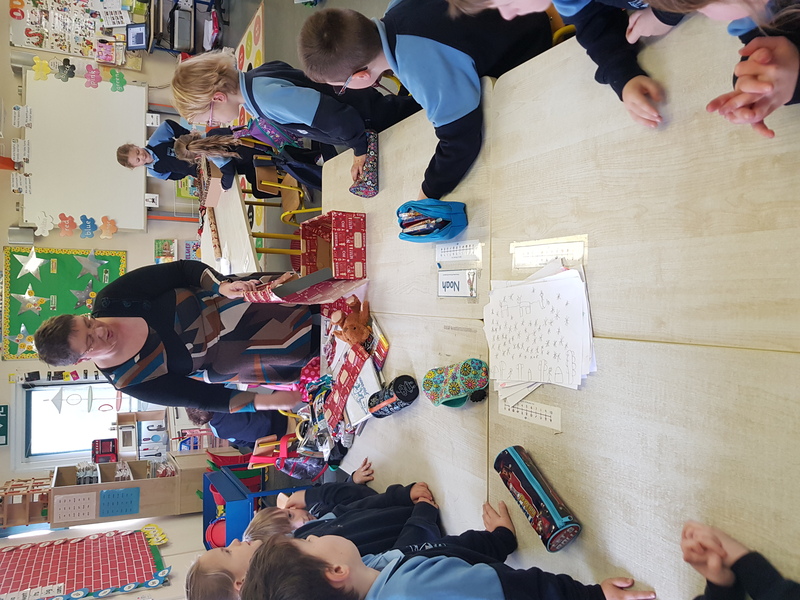 The Junior and Senior Infants sent 11 shoe boxes to less fortunate boys and girls in poor parts of our world. 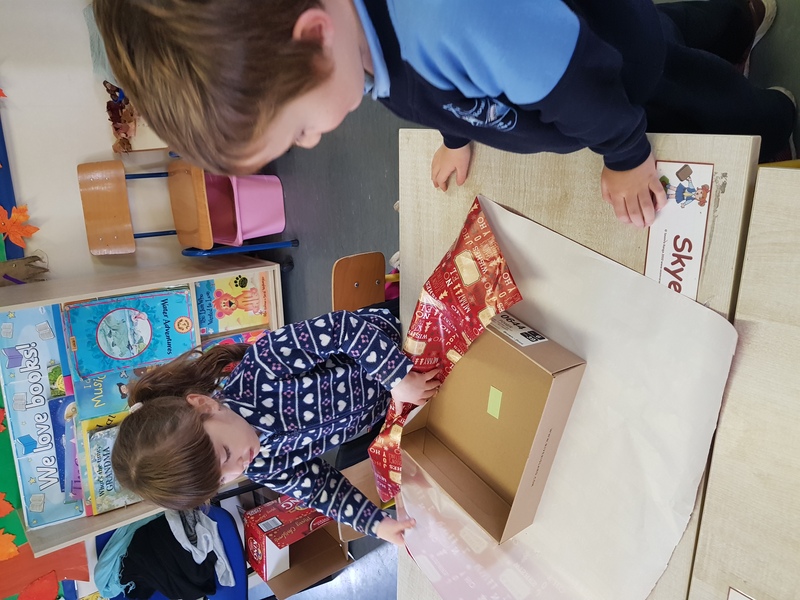 They were very busy filling boxes and wrapping them so the children they were sending them to would get a Christmas present. 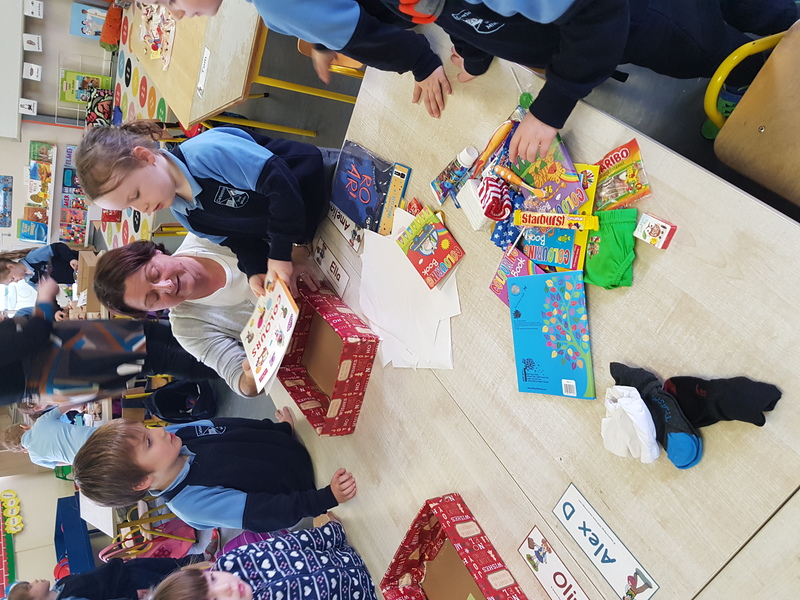 We filled the boxes up with socks, pjs, tooth brushes, toothpaste, small toys, pencils and crayons, copies, colouring books, bars of soap, flip flops and some sweet treats. 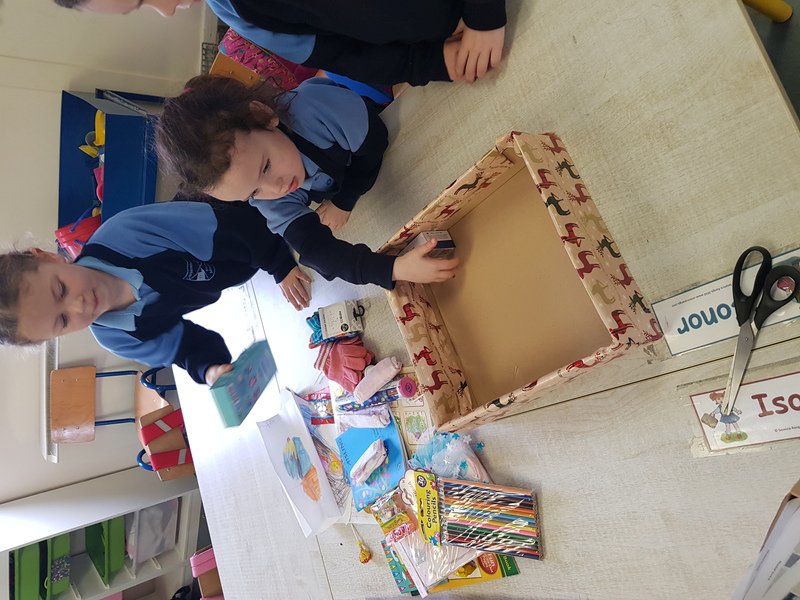 We hope the boys and girls will love their Christmas Shoeboxes!